With regular kettles they're usually metal or some sort of plastic that doesn't allow you to see the sweet innards of the kettle to know what's inside of it. 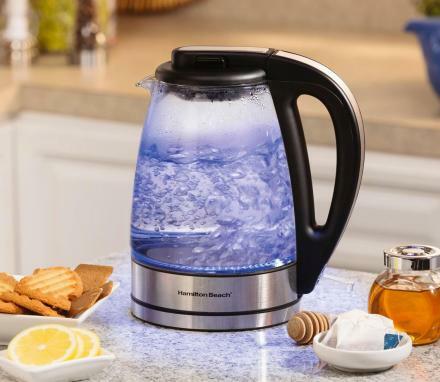 This glass electric kettle is completely transparent so you'll know every time whether someone's about to pour you a cup of how water, a cup of coffee, or a cup full of poo-water. 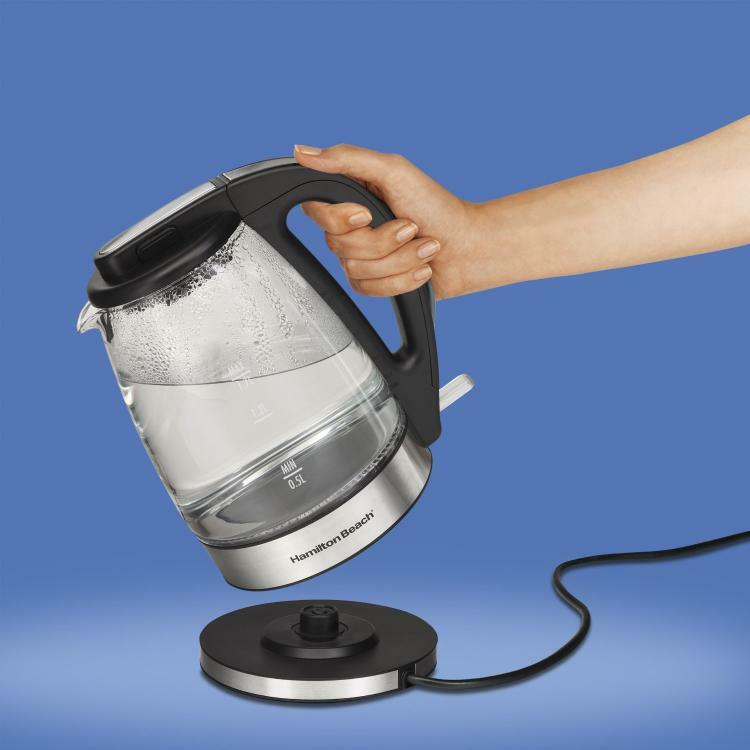 No longer will you be tricked into drinking someone's poo-water by not being able to see what's inside someone's kettle. 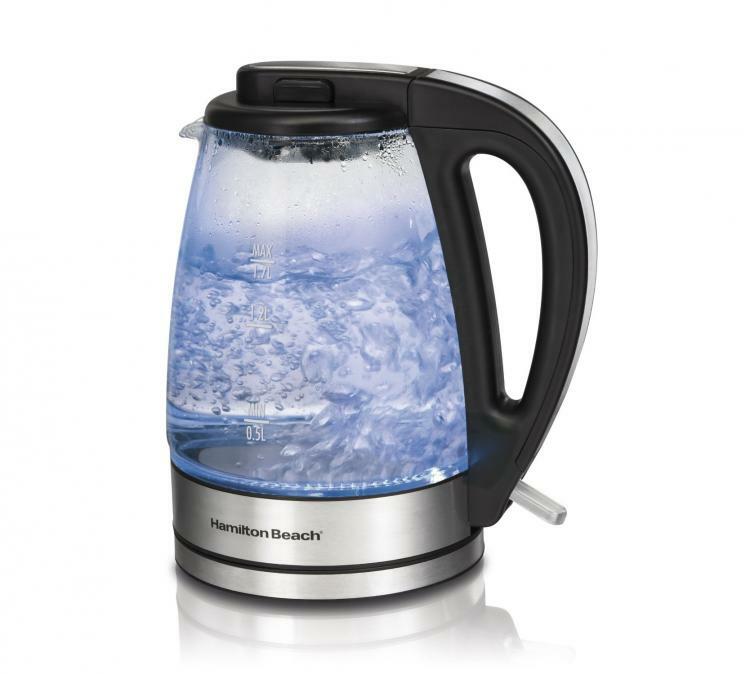 No longer will you be the naive fool who unquestionably drinks whatever someone pours you out of an electric kettle. The transparent electric kettle is made with glass sides along with stainless steel accents, allows for cord-free serving, has an auto-shut-off feature that turns the kettle off after a certain period of time, has boil-dry protection, a built in mesh filter, and has a wide opening for super easy cleaning. 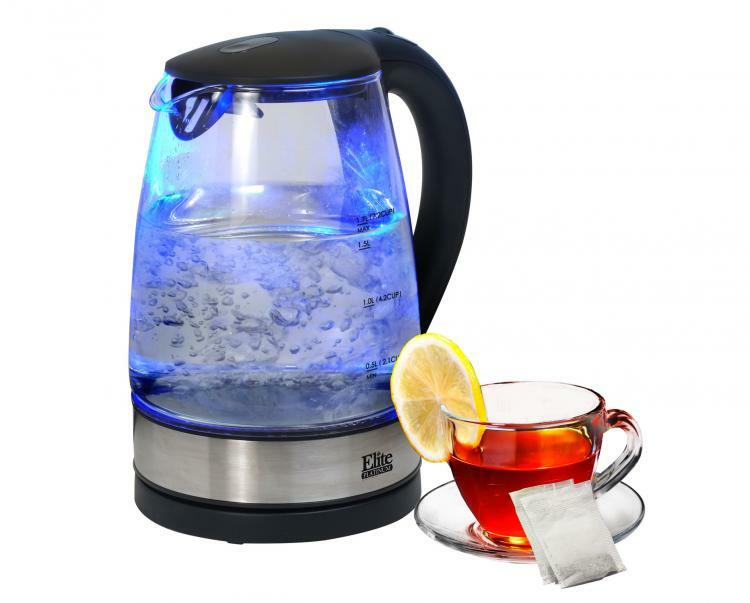 The glass transparent kettle gives off a modern soft blue illumination that makes for a classy addition to any kitchen, is able to hold up to 1.7 liters of liquid, and measures 9.88 inches tall x 8.63 inches wide x 6.25 inches deep.